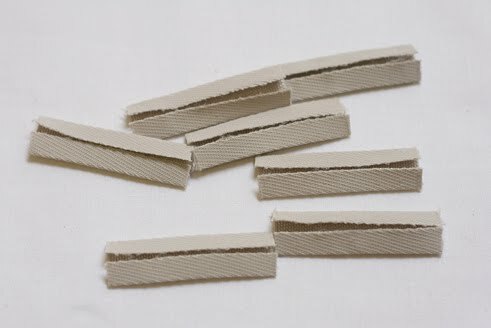 If you haven’t made bound buttonholes before, sit down and make a few in a row, you will soon get the hang of them. They aren’t hard – you just need to be accurate. 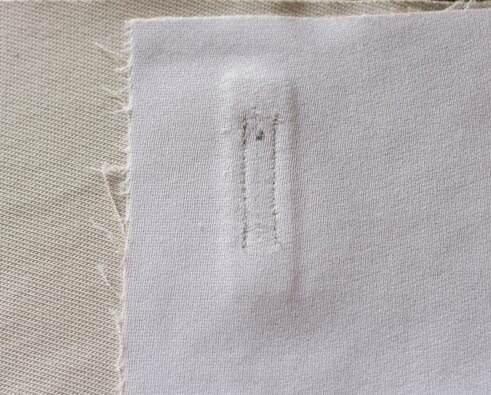 When stitching small areas like this, even an error of 1mm is noticeable – I try to be accurate to within 0.5mm. And of course 100% wool is more forgiving than the junk I am working with polyester/viscose/elastane. 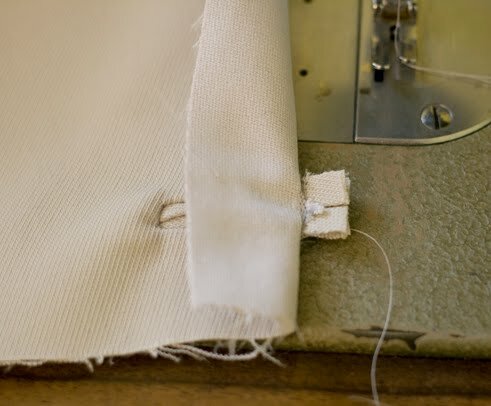 I always make a sample buttonhole before beginning one on the actual garment, it is handy to check that you have cut the correct width of welt, determine how far you need to clip, pressing technique, and all those little reassuring things, you know, before you cut into the real thing….. Your front panels should be blockfused. Finished buttonhole length = button size + button thickness. 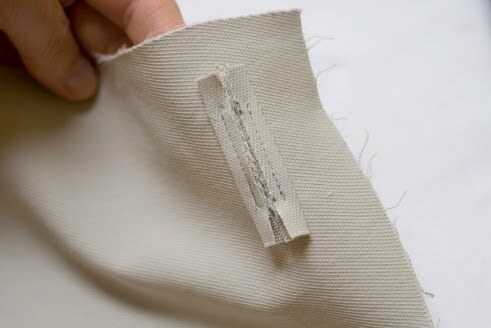 Mark button position on garment with a dot, and mark button position and finished buttonhole length on the welt with dots. 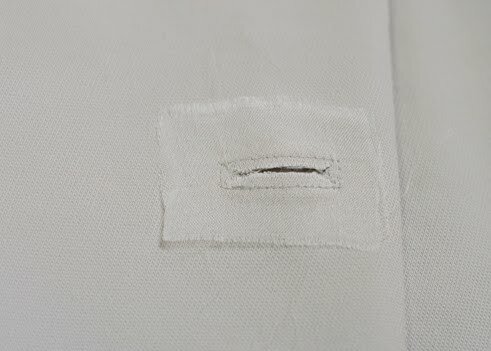 The button position is usually 2-3mm from the buttonhole end. 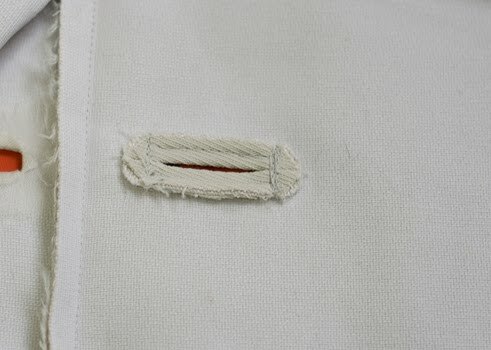 Place welts, raw edges uppermost, on right side of garment and align button position markings exactly. Ensure welt is perpendicular to front edge. Check again that all stitching is parallel, perpendicular to the CF, and equal in length. You can see I do a lot of checking! 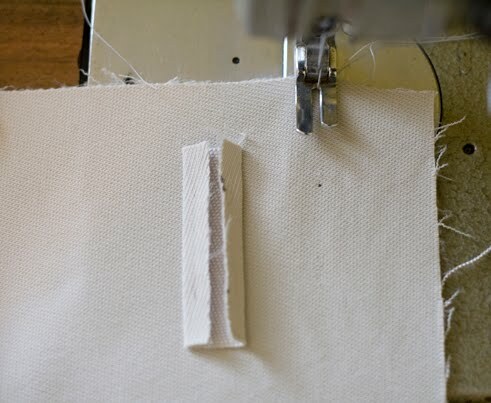 Accuracy is the secret, so now is the time to unpick and make it perfect – once you have cut it is too late…..
Now you will need to make an opening in the front facing to make your buttonhole functional and cover the raw edges. 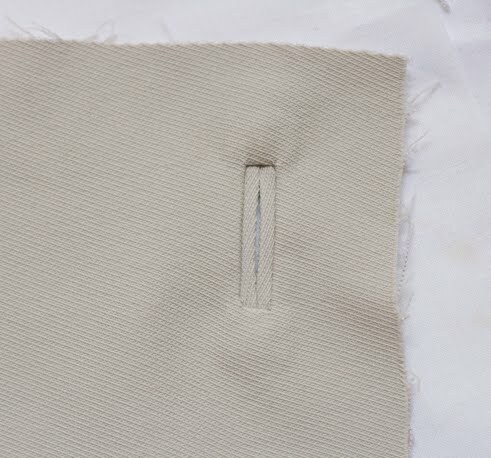 Placement of the opening on the front facing may differ to the placement of the buttonhole on the front, due to turn of cloth. 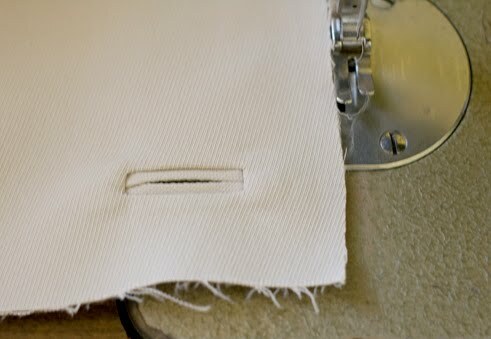 Once the front facing is attached, buttonhole positioning can be offset 3-6mm, so I determine the exact placement once the front facing is on. 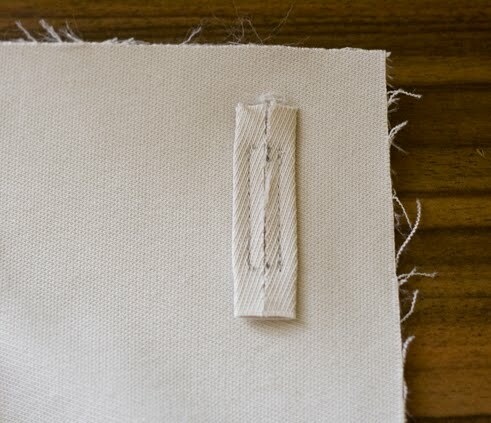 To do this, place pins through the corners of the buttonhole to mark its exact position on the facing. Mark 3mm in from the ends with dots. 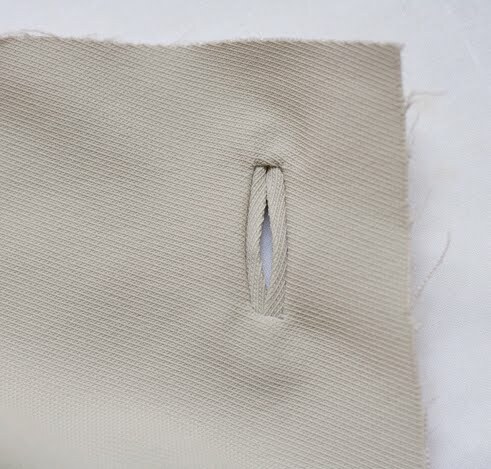 Now your buttonhole looks almost as good on the inside as the outside! I should give them another try, I have such a block about them. 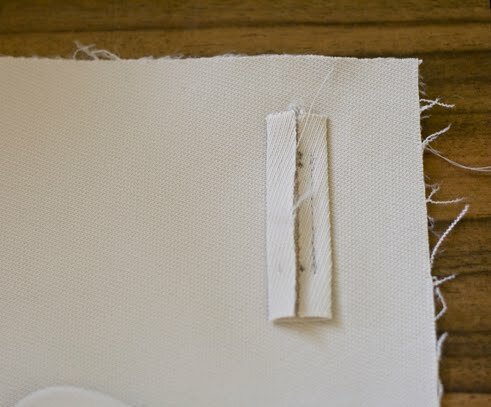 My piped buttonholes work out beautifully… The organza window has never ever worked for me, which has led me to take drastic action facing buttonholes. 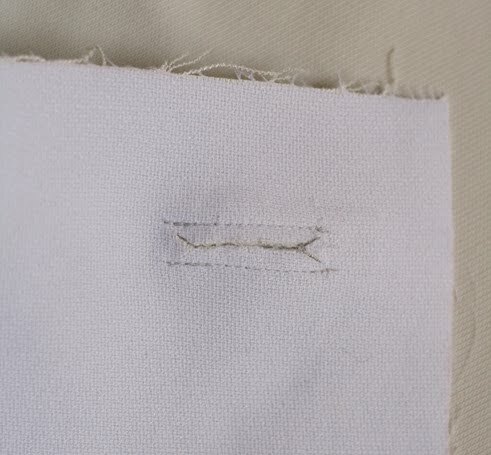 Or I make a machine buttonhole in the facing. A beautiful tutorial! You made it seem much simpler than I remember them being. I may just have to try for the fun of it….. I love your tutorials, and I spread the word of them whenever and wherever I can. I'm familiar with most of the techniques you've shown us, but I still like to see clear instructions and your work which is always impeccable. Fantastic tutorial! 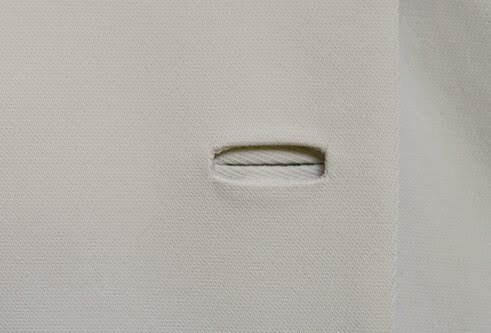 I have never even entertained the thought of making bound buttonholes cause I couldn`t visualize how they worked. Now I get it! Now I get to spend the rest of the day going over your other tutorials (I am in bed recovering from gastroenteritis). Thank you. Thanks for this great tutorial! I will definitely try this method. Mine is a bit different and I haven't made bound buttonholes in ages. I'm a bit scared but this makes it look kind of manageable. Thanks. Great tutorial! Thanks for sharing! 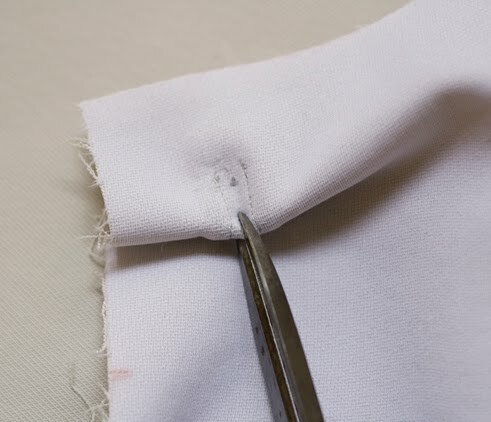 Your sewing is so perfect! Beautiful! And thanks so much… this pictures are wonderful. Now I just need a project that needs bound buttonholes! 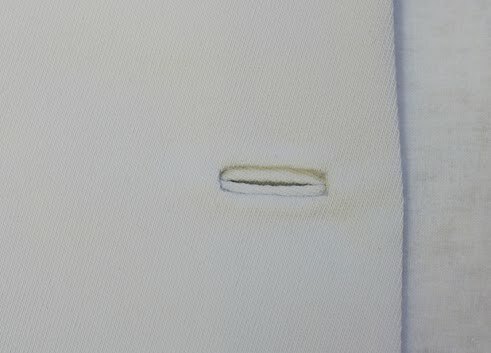 Thanks for sharing – I too have been looking through your old tutorials because I'm making a sheath dress and something that simple looks best with good fit and good finish. 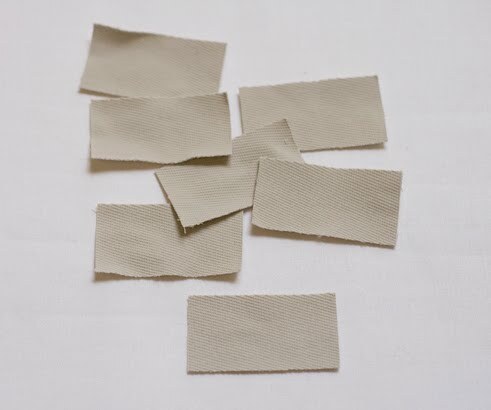 Who sells silk organza in Auckland? If you reply in comments I'll come back and check. ~Elle C – I do hope you get better soon! ~Mary Nanna – Anywhere selling bridal fabrics should sell it – try Vinka Brides in Queen Street. If you have a choice, buy the crispest quality! Thanks for yet another brilliant tutorial! I'd never thought of silk organza to face the opening in the facing – that makes so much sense. I HAVE to try this now. Great tutorial. Thanks! I will file this one. Fantastic tutorial! So clear and straightforward. I do mine several different ways and I always like the methods that do the facing thing on the other side. 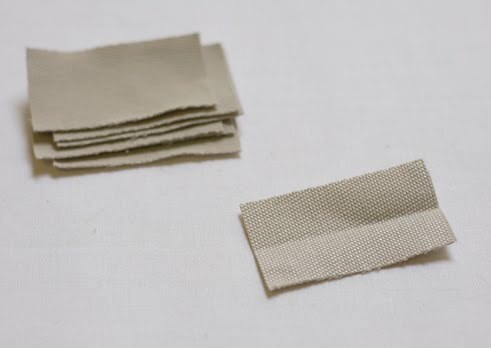 Though I usually use a scrap square of lining, on the bias for some reason…in your expert opinion, is that just as good or should I start using silk organza? Love this tutorial! Thanks so much! ~Tasia – I've used lining too and it works ok, but I love using silk organza because it is more well behaved! It presses well, is really strong and stays in shape. I haven't tried cutting it on the bias, but must do! Thanks so much for this very helpful tutorial. One of these days I'm going to get around to bound buttonholes …..! Your buttonholes look so pretty and well done! One day i will give it a try, too. But for now, i'm simply too intimidated! Nice tutorial! I haven't yet had the courage to try anything that would need button holes, but it's definitely on my to-learn list! This is a great tutorial, and thanks so much for suggesting it. I will give it a trial run very soon, and will be sure to give you ALL the credit if I use it on my coat! A very belated thanks for this post. My mother-in-law gifted me the pieces to a jacket that she'd started in a tailoring class 20-30 years ago. I got stalled with the button holes. 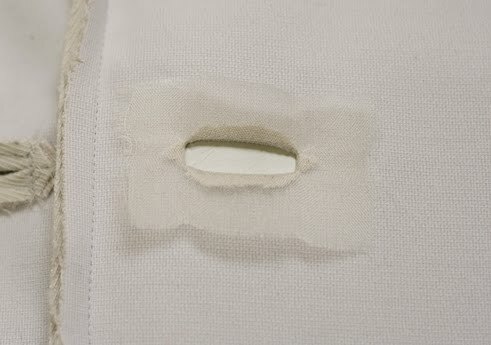 She'd already completed nice bound button holes on the front, but the facing, which was already firmly attached to the jacket, was button-hole free. 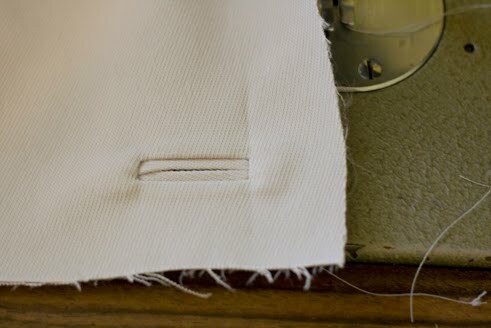 I wasn't sure how to complete the bound buttonholes, especially when I couldn't get to the back of the facing fabric. Your tutorial and photos were exactly what I needed. If you don't mind, I'd like to link to this page when I complete the jacket and post it on my blog. Thanks! 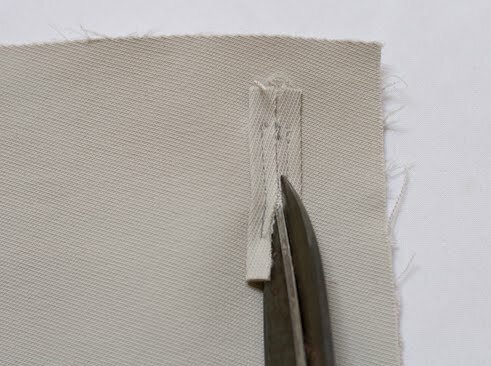 I've just made my second bound buttonhole using this method. The first was using Coletterie's method. My second bound buttonhole is flatter and sits nicely. The first is very bulky. I've linked this tutorial to my page so I can always find it. Now to make 5 bound buttonholes on my trenchcoat. Thank you again for a great tutorial.